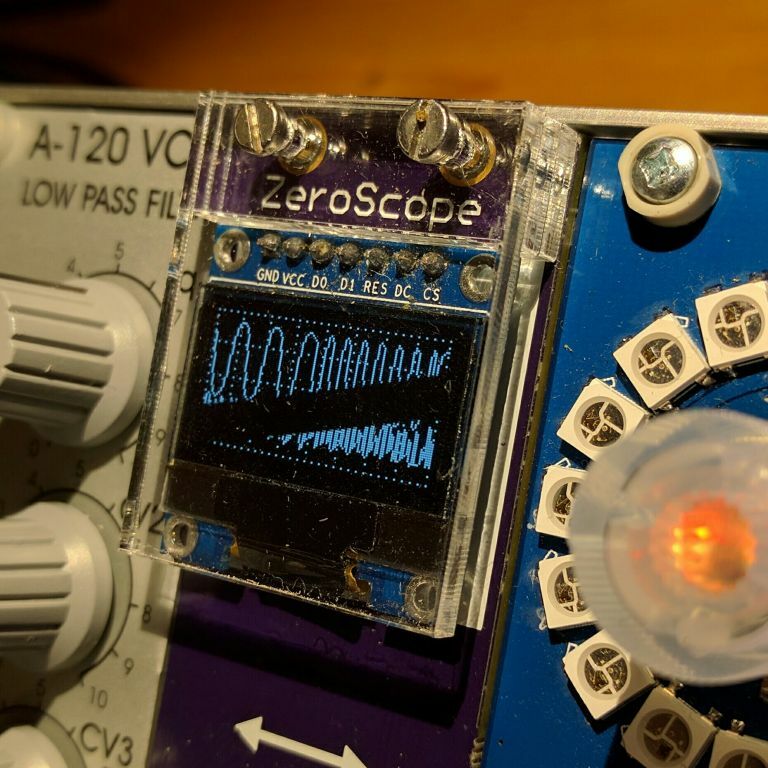 ZeroScope, the 6hp dual channel oscilloscope for your Eurorack. -10V to 10V, 100ms/div to 10 us/div. single, dual, X-Y, frequency measurement and tuner. shipping for the PCB set is €7 worldwide as a registered letter, €5 inside Germany. shipping for the fully built module depends on where you are. missing are knobs and jacks, get them from the usual suspects. the encoders are D-type shafts, but push on round knobs should work too. make sure it's the single color WHITE (or BLUE) version, there are also some two color BLUE/YELLOW ones that you don't want. are you freaking kidding me? that's just awesome! These are great and cheap displays, super crisp! There's four on the MIDIbox CV v2. I wonder if the pins need a bit of insulation? Can't help but think they wouldn't be too happy with a stray cable carrying a 12V squarewave. Couple of suggestions: Find an OLED that's available widely (I.e. 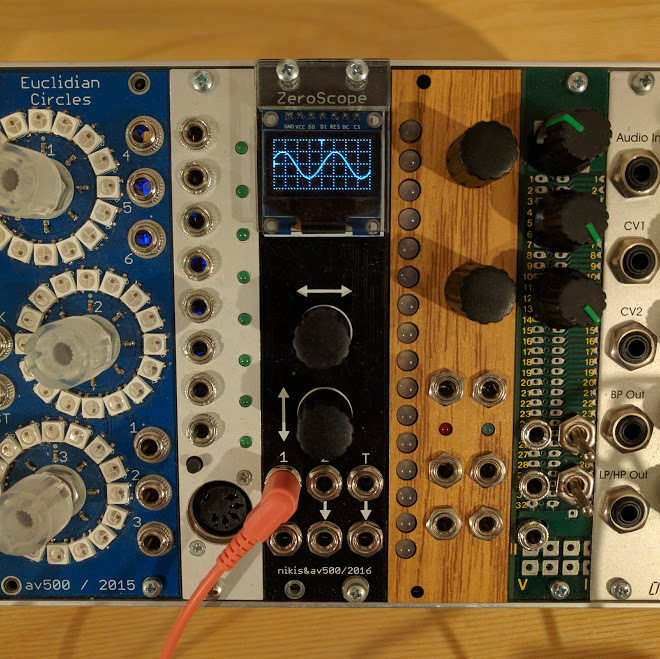 stocked by someone) That looks like the 1.3" one Mxmxmx used on the O_C and some other modules, impossible to find one now (I've been trying for the last few months). 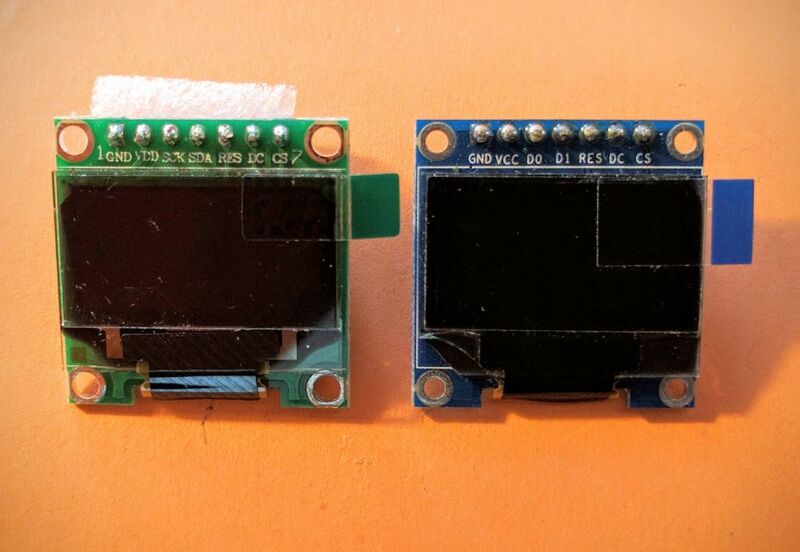 I would almost say find the bare displays and make your own PCBs for them, the few 1.3" ones out there now all have different pinouts. 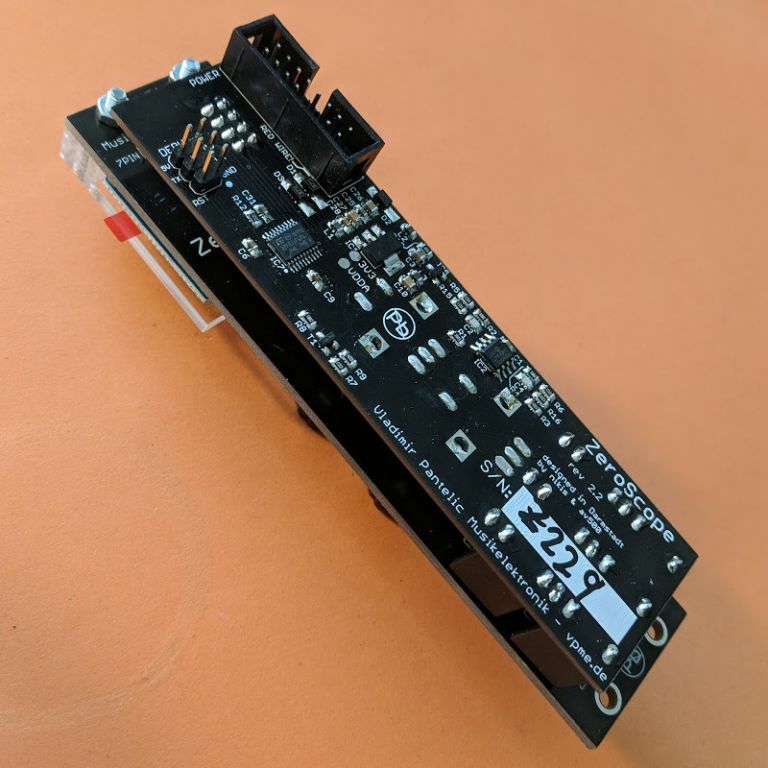 Wisechip makes the parts and you can usually source them through their dealers (just ordered some from First-components). If you can solder a 0603 chip, you can solder the display. I would also never expose the display like that, the glass corners at the bottom are not supported by anything and snap easily. They contain the tiny wires in the black epoxy and if you break it, the display can go into the trash. Couple of suggestions: Find an OLED that's available widely (I.e. stocked by someone) That looks like the 1.3" one Mxmxmx used on the O_C and some other modules, impossible to find one now (I've been trying for the last few months). I would almost say find the bare displays and make your own PCBs for them, the few 1.3" ones out there now all have different pinouts. 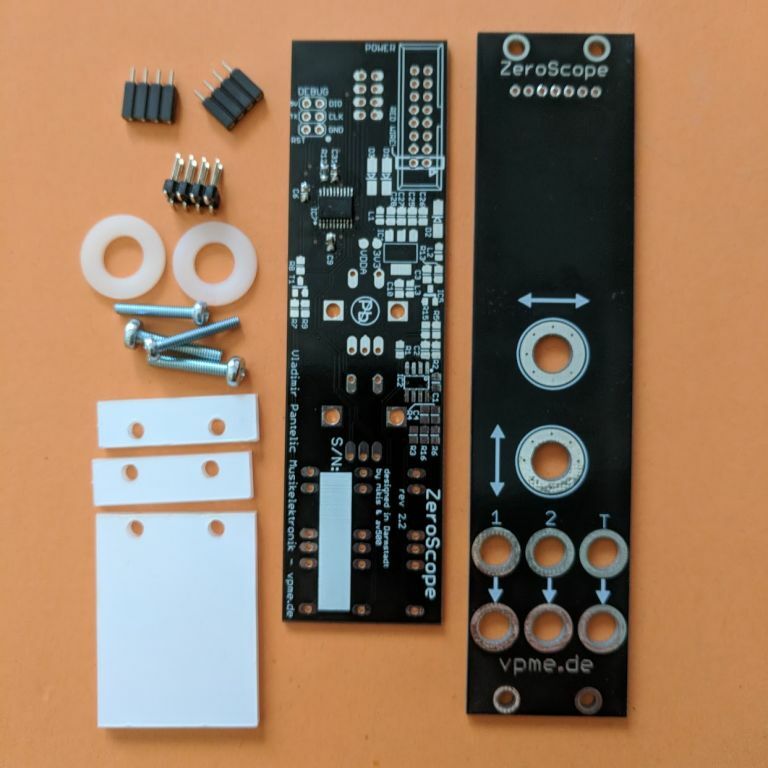 Wisechip makes the parts and you can usually source them through their dealers (just ordered some from First-components). If you can solder a 0603 chip, you can solder the display. in fact that display there I did solder to the carrier PCB since I bought them separately in China. the idea was to make a PCB that can be populated easily with a display that is available to order for the hobbyist. You could possibly do a 3d-printed little box that fits over the OLED & holding PCB - protecting the glass corners and hiding the pins. Possibly you'd need the module title text shifted slightly but otherwise could probably be done without changing anything much. yes, that's an option. I have another idea, but I need to try it out first. yes, 0805 instead of 0603 would be very much appreciated (the small sizes is what keeps me from doing the euclidean sequencer, 0603 is just too much). 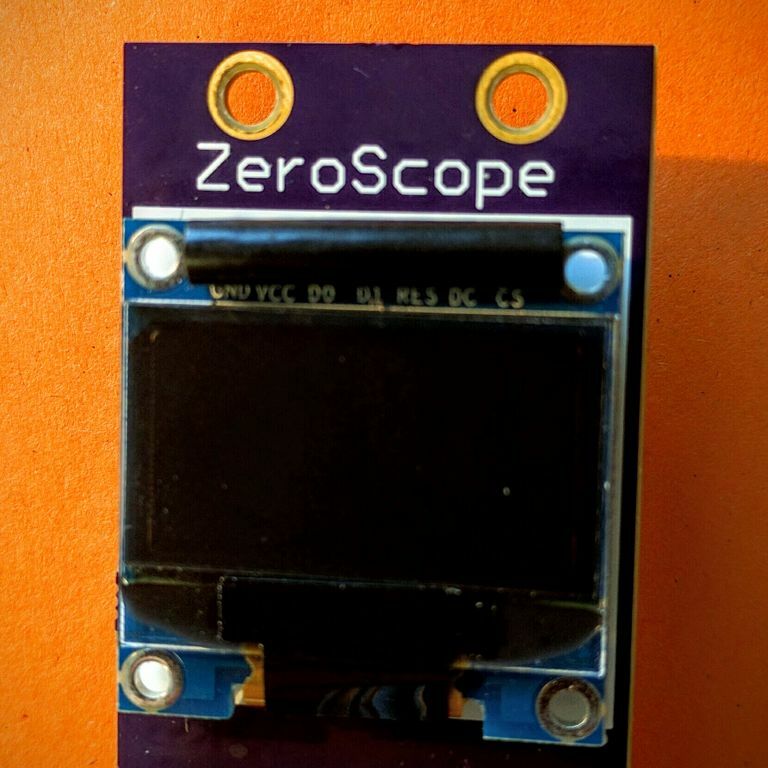 Is the scope related to the Gabotronics Xprotolab? The latter is only $49 soldered and with display and everything. Won't fit in 6hp, but 8 hp should be fine. no relation to the Xprotolab, this is a standalone development between a coworker and myself. Im in, just so I can solder more SMD's! Also, AV I really like your cloth? covered cables. Where do you get the wire? This looks really amazing! I'll be following its progress for sure. What Guage are those? I always have dreams of buying a couple rolls of these http://www.colorcord.com/collections/solid (which I have done, but for light fixtures in the house) but I figured 18g is a bit to thick for modular shenanigans. The smallest I have been able to find is http://www.sundialwire.com/22-gauge.aspx 22g, bit it doesnt have the color range that I thinkwould be cool in organizing by length. Ooo this one looks great. And DIY! Count me in! I do like the smell of burnt acrylic in the evening! was thinking of something like that. Could even use the M2 holes and save the top ones for case mounting. the actual cable strands are really thin and are like these headphone cables made from enameled copper wire.